Laid down, 1 July 1944, at Defoe Ship Building Co., Bay City, MI. 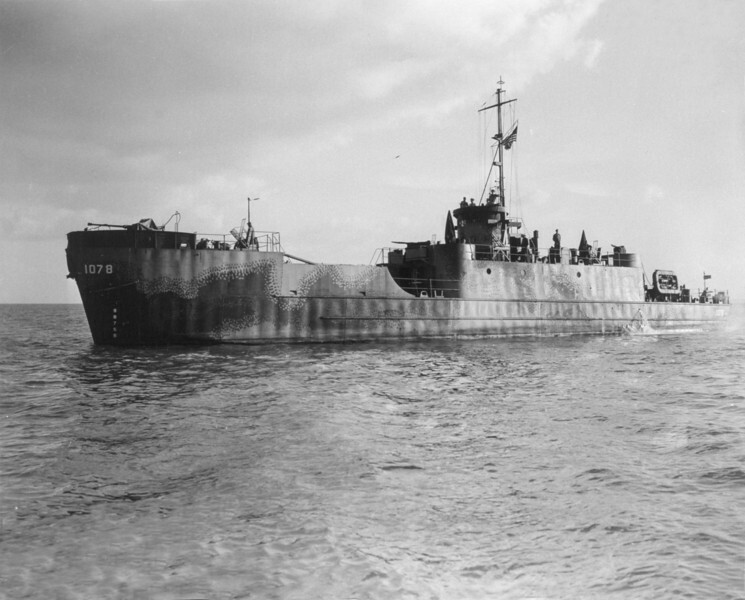 Reclassified Landing Craft Infantry (Rocket), LCI(R)-1078, 15 March 1945. 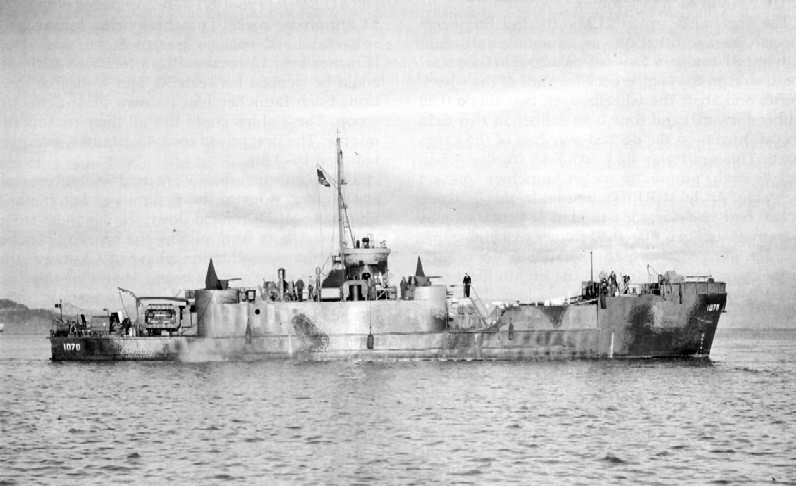 Following World War II LCI(R)-1078 was assigned to Occupation service in the Far East from , 2 September to 24 November 1945. 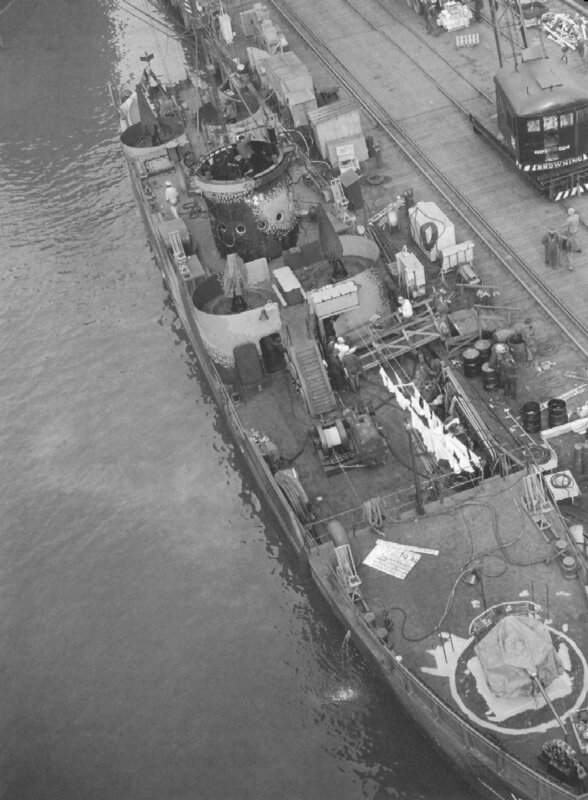 195k Overhead view of USS LCI(L)-1078 pierside at San Francisco Navy Yard , 29 December 1944, after completing her conversion to a rocket-firing support craft. The Mk 7 rocket launchers, which fired 4.5" rockets, are the frames visible at the break of her forecastle and abaft her forward 20 mm mounts. A fifth is visible on her port side, just forward of the after 20mm gun tub. These launchers could elevate between 25 and 40 degrees; maximum range was 1,100 yds. The frame above the launching rail held rounds ready to fire; it was fed by hand.